Genomind is a unique personalized medicine platform that brings innovation to healthcare around the world. Genomind, comprised of pioneering scientists and thought leaders in brain health and genetics, delivers actionable insights to clinicians, healthcare partners and individuals in order to improve the quality of human life. Learn more at www.genomind.com. Vida+: Exclusively for the medical community, VIDA+ is a clinical line of hemp-derived CBD products that are the next wave of cannabinoid extracts - a powerful alternative formulated with integrative practitioners and their patients in mind. Vida+ provides full spectrum hemp oil extracts and capsules sourced from the finest hemp and natural ingredients on the market. They are third-party tested for purity and potency at world class facilities so you can trust you are getting the best quality. Our mission is to reduce the world's dependence on pharmaceuticals, and provide choices that allow patients to live a lifestyle of health and wellness in harmony. NOTE: Vida+ is setting the standard for the industry. Education is a key focus so you can learn what is best for your practice. For further information on Vida+ and the evolving hemp industry, please contact adamborson@phivida.com. Sovereign Laboratories is dedicated to developing natural products that provide the most efficacious solutions for optimal health, vitality, and aesthetics. Sovereign Laboratories’ signature product Colostrum-LD® is clinically proven to heal the G.I. lining; prevent infection and inflammation of the bowel; and increase bowel surface area for better nutritional absorption. Colostrum-LD® is considered the premier foundational supplement for optimal gut and immune health, and it was designed for successful aging no matter where one is on the spectrum of life. Bastyr Grad John Neustadt, ND founded NBI (www.nbihealth.com) in 2006 when he couldn’t find formulas to help his patients. He was frustrated when he couldn’t find formulas on the market that contained the doses, forms and combinations of nutrients shown in clinical trials to actually work. NBI products contain the dose and form of nutrients used in clinical trials and basic research and shown to work. Osteo-K contains nutrients shown to reduce fractures more than 80%. MitoForte’s nutrients can improve memory, energy and stamina 60% or more. And NattoPine is the only nattokinase product with the dose and combination of nutrients shown to work in a clinical trial. Two natural thyroid solutions. Because no two people are alike. Nature-Throid® and WP Thyroid® are all natural T4 and T3 hormone replacement medications, which utilizes desiccated porcine extract. Most synthetic thyroid treatments contain only T4 hormone. Since Nature-Throid® and WP Thyroid® contain both T4 and T3 hormones, they can provide a more natural body response. There is simply no substitute for the healing benefits nature provides. Nature-Throid® is the classic solution for hypothyroid treatment. WP Thyroid® with fewer inactive ingredients, is now available for patients that require a purer formula. Both medications are formulated using hypoallergenic inactive ingredients and does not contain any artificial colors or flavors, corn, peanut, rice, gluten, soy, yeast, egg or fish/shellfish. RLC Labs also manufactures a-Drenal® and i-Throid®, (iodine 12.5mg & 6.25mg) which can be used alone or with either Nature-Throid® or WP Thyroid® for a well-rounded thyroid protocol. No matter how you dispense, Natural Partners | Fullscript has you covered. In-practice, online, or both, we have the solution for you, with over 200 high-quality professional brands and more than 15,000 products. Visit naturalpartners.com to stock your in-office dispensary with wholesale pricing, or improve patient adherence by setting up your online dispensary at fullscript.com. Park Compounding is dedicated to delivering highquality medicines to physicians and their patients at accessible prices. 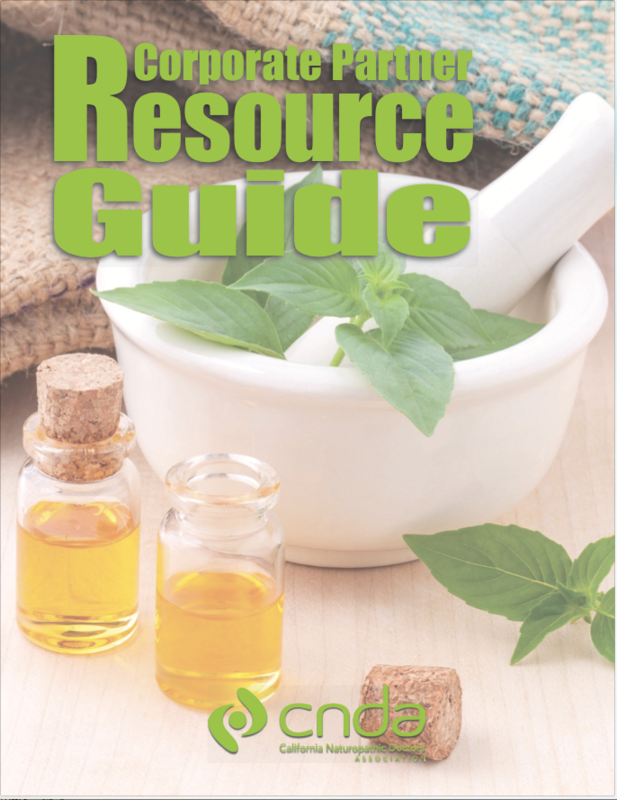 Park Compounding offers unique formulations commonly prescribed by physicians and practitioners specializing in integrative medicines. Our team at Park can assist you with formulations including intravenous nutritionals, vitamins and minerals, botanicals, and many more. Learn more by contacting a pharmacist at (949) 5517195 or visit us at www.parkrx.com. Vital Nutrients is an American-owned supplement manufacturer widely known as The Leader in Quality Assurance. The Vital Nutrients product line includes hundreds of science-based and pharmaceutical-grade supplements, all formulated by a team of healthcare professionals and manufactured at our strictly controlled, FDA-Inspected facility. Since 1979, Allergy Research Group®, founded by Stephen Levine Ph.D. continues to be a leader in the nutritional supplement industry. Dr. Levine heads product development; our intention being to provide healthcare practitioners and their patients with an impelling nutritional means for improving the quality of life through quality, innovative supplementation. Visit www.allergyresearchgroup.com for more details. Pharmaca Integrative Pharmacy’s unique model combines pharmacy services with natural remedies and licensed health care practitioners. Pharmaca also offers compounding services; our pharmacists work with patients and their physicians to ensure they get just the right dosage or delivery method of their medications. In addition, Pharmaca stores are staffed with naturopaths and other natural practitioners who offer guidance on the store’s collection of dietary supplements, vitamins, herbs, homeopathy, and natural skin care and beauty. CNDA members receive 10% off their entire purchase at any California Pharmaca location. For over 35 years, Emerson Ecologics has been your destination for friendly service, trusted advice and the broadest selection of high-quality nutritional supplements and natural health products. We strive to provide innovative offerings that support integrative practitioners. Great Earth Pharmacy partners with physicians to develop effective medications in custom and provide individualized patient care. We are proud to be the pharmacy you can rely on for high-quality, consistent compounds at AFFORDABLE prices. In fact, we only deliver quality and consistency, backed by a 100% Guarantee on every order that we fill! Please contact our pharmacy for potency testing results of our compounded medications, ensuring that what you prescribe is exactly what your patients receive. Ask about our hypo-allergenic bases and free shipping. We are also proud to provide BHRT training to doctors to help bridge the gap between school and private practice. Antibody Assessments by ELISA: IgA/IgE/IgG for Foods, Inhalants, Spices & Herbs; Candida Antibodies & Antigen and Celiac Panels. Automated ELISA platform employs advanced robotics for duplicate specimen testing to assure the highest level of precision and accuracy. Urinary Steroid Hormones, Organic Acids and Environmental Pollutants measured though LC/MS/MS and GC/MS instrumentation. Patient-specific report commentaries available for our chemistry profiles by request. Blood or urine spot specimen collection offered for most assays. CLIA-certified and accredited, COLA-compliant and CAP-surveyed. Competitively Priced. Serving the World. For almost 40 years we have provided excellent service to clinicians worldwide. We offer food sensitivity and food allergy testing, inhalant and environmental allergy testing, mold exposure profiles, and autoimmune screens. Our transparent pricing, unrivaled customer service, and quick turnaround time make us the best choice for your practice. We are well positioned to support you and your patients. Visit us today at foodallergy.com to find out more. Seroyal is a natural pharmaceutical company, dedicated for over 25 years to assisting healthcare practitioners restore, rebuild and maintain patient health. For increased patient retention, compliance and efficacy, Seroyal offers the UNDA, GENESTRA BRANDS™ and Pharmax product lines. To help attain better patient results, the Seroyal Continuing Education program is committed to providing world-class, clinically relevant information that can be immediately integrated with existing modalities for a complete, holistic approach. IGeneX, Inc. is a specialized reference laboratory that focuses on the diagnosis of Lyme and other tick-borne diseases. Founded in 1991 by Nick Harris, Ph.D., IGeneX, Inc. services thousands of physicians and other medical providers worldwide. IGeneX, Inc. employs highly trained technicians and scientists to ensure a quality unmatched by any other laboratory. For more information, please visit us at www.igenex.com or call our client services department at (800) 832-3200. Koshland Pharm: Custom Compounding Pharmacy is an independent pharmacy whose mission is to improve people’s health and well-being. Located in San Francisco and serving all of California, Koshland Pharm is dedicated to partnering with doctors to develop innovative treatment plans for individual patients. Accredited by the Pharmacy Compounding Accreditation Board (PCAB), Koshland Pharm makes high-quality, customized prescriptions with a focus on optimal patient outcomes. Compounded solutions for naturopathic practices include patient-specific thyroid treatments, bioidentical hormones, dermatological treatments, and sterile injectable and inhalation treatments. McGuff Compounding Pharmacy Services, Inc. has served physicians and patients since 1999. We have established ourselves as a well respected partner and leader in the pharmaceutical compounding industry. Our state-of-the-art compounding pharmacy is PCAB accredited and ISO 9001:2008 certified. We provide high quality, cost-effective, customized compounded drug formulations of medications that are not available from a pharmaceutical drug company. 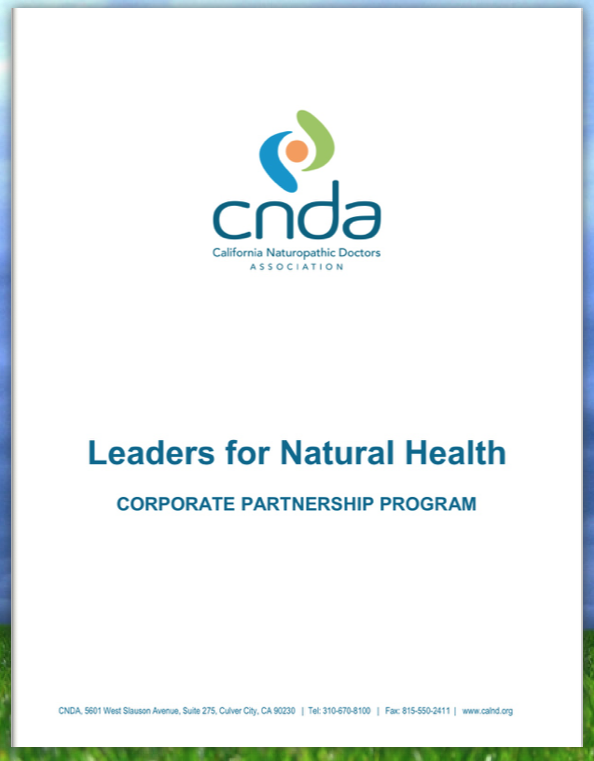 Sprague Israel Giles, Inc. is very proud to be a CNDA Corporate Partner and to support the California naturopathic community. Since 1958, we have been providing expert insurance services to the medical community. Naturopathic physicians and clinics have unique insurance needs, so we worked to develop the first comprehensive malpractice insurance program that covers many of the emerging naturopathic modalities that are not adequately covered elsewhere, using an AM Best “A+” (Superior) rated carrier who has been insuring Naturopaths for nearly a decade. We cover what you actually do in your practice, so please contact us to learn more about the advantages of our Natural Insurance Program. Call 800.526.0635 or visit us at http://www.siginsures.com/natural_insurance.html to learn more. Women’s International Pharmacy specializes in custom compounded bioidentical hormone prescriptions for men and women. Our pharmacy earned accreditation through the Pharmacy Compounding Accreditation Board (PCAB) by following stringent proficiency and quality assurance standards. Our pharmacists focus on meeting individual needs for licensed medical practitioners and their patients. Whether you are a practitioner or patient you can be assured Women’s International Pharmacy is here for youand we respect your freedom of informed personal choice.